Why do I feel this way ? All organisms have a survival instinct and we know that for humans at the physical level we call this our fight flight response, this is about our survival, keeping ourselves safe. From a psychological perspective Freud spoke about need to defend ourselves, our internal selves. What really matters to you is feeling better – calmer; more relaxed, clearer and more confident.That is what matters ism’t it. Its also important that you can start to do things again – live fearlessly . It’s what I do . So if you are ever hit with those feelings that you want to run away then you know you are in the middle of a response to something that either consciously or unconsciously you perceive as a threat. You might or might not know what has caused it; you just want it to go away. So the feelings are a way of protecting yourself Hypnotherapy , Havening and NLP offer you an opportunity to change, more quickly than you realise. through to a full blown Panic Attack, which feels like the worst extreme of all these symptoms some are so extreme that people go to hospitals thinking that they are having a heart attack. There is good news! You can change, feel better and you can experience you self, your life and your environment as a safer, more resourceful place to be most importantly remember that the feelings do not define who you are or how you meet the world. They are feelings and through hypnotherapy, NLP, self-hypnosis and self-awareness training you can learn to see the world in a different way. In addition with some great strategies you can be back in control of your behaviour. How do you make a start? This is invariably the bit that everyone finds confusing but stick with me. It’s time to listen and pay attention to you. It’s a granted that you want to change so making a few easy changes will be OK won’t it? So you can call me immediately on 07714711262 to talk about whats happening or you can start to follow some daily self help hints . 2. Do a daily check in – exactly how many cups of coffee are you drinking? 3. What’s happening with other drugs? – Nicotine? – alcohol? – other recreational? 4. How’s your diet – are you eating balanced food groups? 5. Are you sleeping OK and do you have good pre-sleep routines? 7. Download my deactivation deep relaxation recording and regularly take time out to be settled. What negative Patterns of thinking do you have? These are ideas or ways of viewing ourselves or others that we have practices for so long that they actually seem like us. The way we tell ourselves off or say rude things, or allow the internal critic to take over – I also call them habits. So we don’t know when we routinely starting thinking the thoughts that disturb us but it important for you to know that they can change. They are just thoughts and they have no right to get in the way of what you are trying to do. Before any response there is thought so the moment you decide to put yourself back in the driving seat of your life you are already starting to change. These are the basics for keeping yourself well and resourced to recover quickly from whatever is unsettling you. I call them the Healthy Head Hints – or you could remember them as My Mind Matters My Must do list. 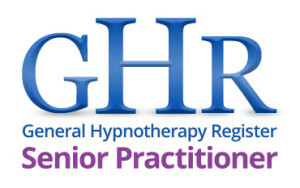 Louise Baker is registered with the General Hypnotherapy Register and abides by their code of ethics of the General Hypnotherapy Standards Council. Hypnosis Hypnotherapy and NLP are complementary health services and are not offered with with a results guarantee or as a replacement to consulting your General Practitioner or Specialist Medical Consultant.